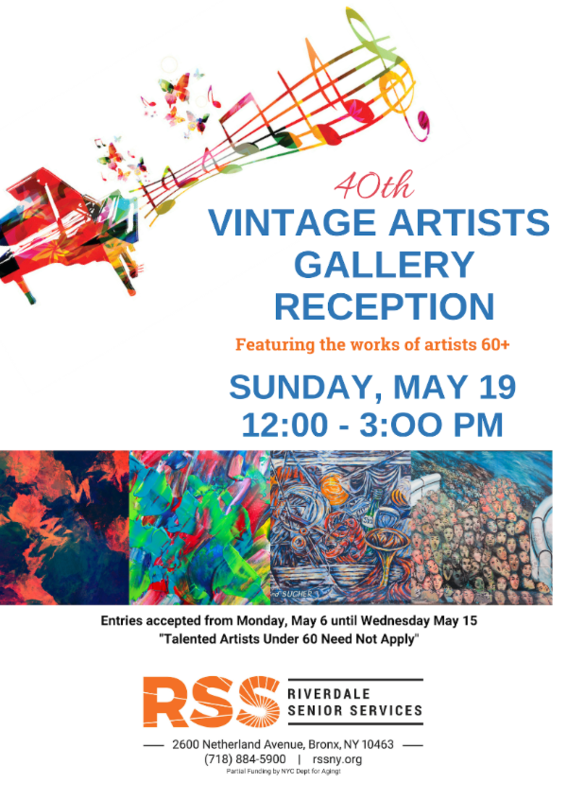 May 19th is the 40th Anniversary of the Vintage Art Gallery. Enjoy the work of artists 60+. Art works include paintings, sculpture, photography and - new this year - digital art. Music and refreshments served. Come to the show and invite your friends!